Kolkata, 15th January 2019 – SVF, the largest production house in Eastern India scooped in 15 awards at the prestigious WBFJA (West Bengal Film Journalists’ Association) Awards this Sunday. 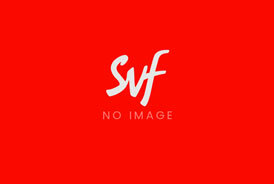 SVF were nominated in 23 categories and received total 57 nominations for their films. They started off the morning with 8 consecutive wins; total no. of awards brought home by the production house is 15, marking the highest wins among other competitors. The film with the highest wins (precisely, 7) is Srijit Mukherji’s pujo release – Ek Je Chhilo Raja, which worked wonders in the box-office, garnering positive audience and critical acclaim. Closely followed by another pujo box-office magic – Arindam Sil’s Byomkesh Gowtro, bagging 5 awards, both products of SVF. SVF has successfully produced over 120 films including National Award winning ‘Chokher Bali’, ‘Raincoat’, ‘Memories in March’, ‘Chitrangada’ and ‘Chotoder Chobi’; blockbusters like ‘Challenge 2’, ‘Chander Pahar’, ‘Zulfiqar’, ‘Yeti Obhijaan’, ‘Amazon Obhijaan’, ‘Guptodhoner Sondhane’, ‘Byomkesh Gowtro’, ‘Ek Je Chhilo Raja’ and critically acclaimed ‘Meghe Dhaka Tara’, ‘Cinemawala’, ‘Dhananjoy’, ‘Asche Abar Shabor’, ‘Aami Ashbo Phirey’, ‘Uma’, ‘Generation Aami’ to name a few.